Reaching the world close to home and around the world. At The Rock Church, Missions does not happen automatically! Jesus modeled for his church a call to becoming, going, and proclaiming the saving message of the Gospel. From the very example of Jesus, to the paths lain by the Apostles, we don't have to be confused over whether or not the call to Missions is important! So necessary was the act of Mission that Jesus returned from the cross before ascending to heaven telling us to "go into the world making disciples..." He said GO, not contemplate, wish for, or pray about. At TRC, we want to be obedient to the mission of Missions which was already put forth by Jesus! We don't have to create a mission statement, we simply receive the one that is already given us by our Lord. The Rock Church is excited to be partnering with church planters living on foreign soils. This summer we will be sending teams from our body to bring love and support to those who are serving in full-time ministry. If you are interested in serving in Brazil, (September 24th- Oct 1), please click on the link and fill out the application. The Missions Directors will review your application and get back with you soon. Last date for application submission is May 1st. 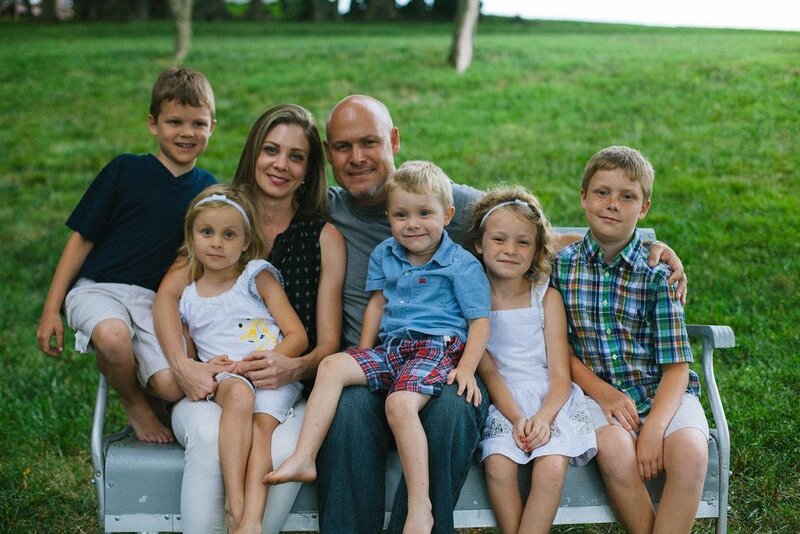 Jonathan & Erin Mathews with their five children; reaching out to the urban poor in the slums Sao Paulo Brazil. OUR GOAL IS TO REACH PEOPLE WITH THE GOSPEL OF JESUS CHRIST, DISCIPLE THEM AND PLANT CHURCHES. First of all, let me be clear - we do nothing alone. We are only one tool in the toolbox. As missionaries we feel bad saying anything about the work we do because you know us, see us, hear us, meet us, etc..., but you don't know the local Brazilian Christians who work alongside of us. On this side of eternity, you will never meet the Brazilian church and pastor who partners with us in the church-planting process. OUR GOAL IS TO BE A CATALYST IN MOBILIZING THE BRAZILIAN CHURCH TO REACH THE WORLD FOR CHRIST. Even though there is still a huge need for church-planters in Brazil, there are already thousands of churches in Brazil who are looking to engage their world for Christ, taking their obedience to the Great Commission to the next level. In 2003, we began to reach out to some of these churches and help them look up and out to see a world that they could help reach. We have several projects in the works right now that will help us accomplish this goal. Here is a video that Jonathan made about ministry in Sao Paulo Brazil. At The Rock, we are sensitive to engaging the Mission field by being obedient to the command to "go". From Mexico to Denmark to Kenya, we are ever-looking for the occasions where we can support missionaries, send teams, equip pastors, fund projects, and engage in any other Kingdom-building work!